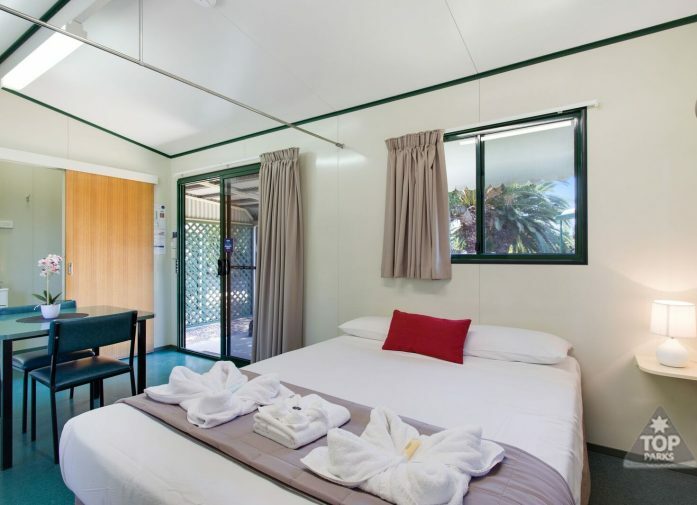 You’ll always have a comfortable stay at Goondiwindi Holiday Park in one of our Standard Ensuite Cabins. For a couple or traveller wanting clean, well-appointed accommodation for an overnight stay or extended visit, our air-conditioned Standard Ensuite Cabins provide an open-plan layout with all the conveniences of home. 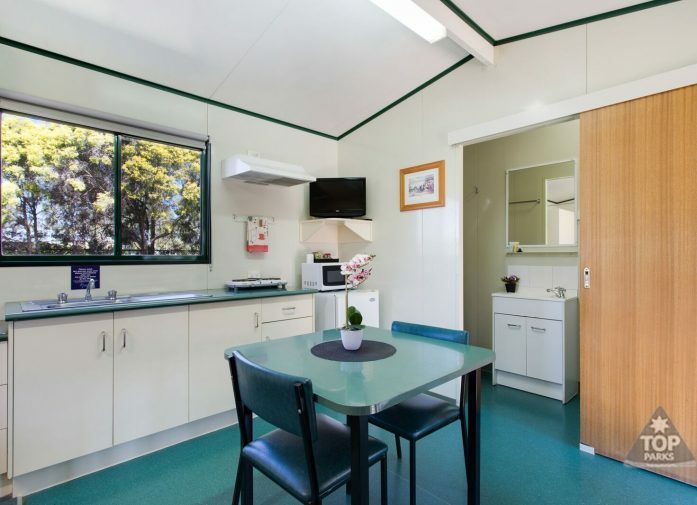 Modern and affordable, these cabins come equipped with a queen bed with linen, a kitchenette supplied with the necessary cooking utensils, crockery and cutlery to prepare basic meals. 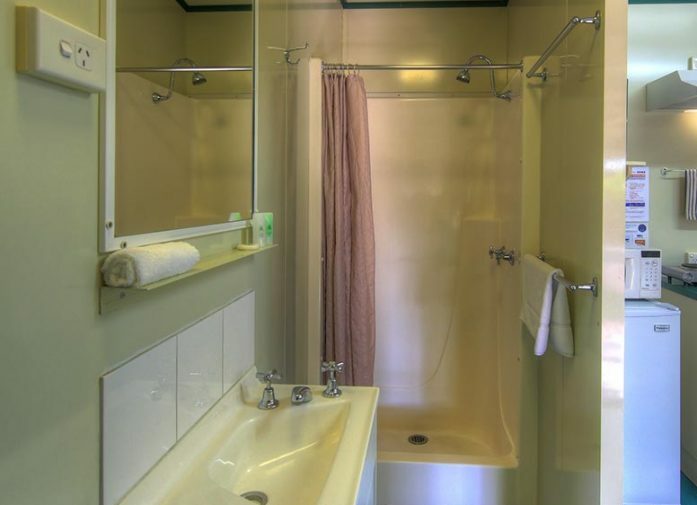 The ensuite bathroom has a shower and a complimentary hairdryer for your convenience. Each unit has a partitioned veranda or patio, table and chairs to make the most of the outdoor experience. You are also most welcome to utilize all the other great facilities around the park including the pool, spa, camp kitchen and lots more. 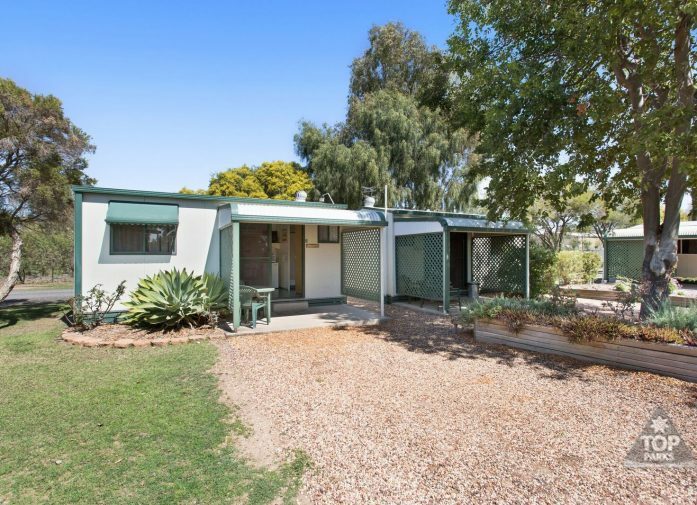 At Goondiwindi Holiday Park we strive to bring all our guests clean, comfortable, and affordable accommodation. 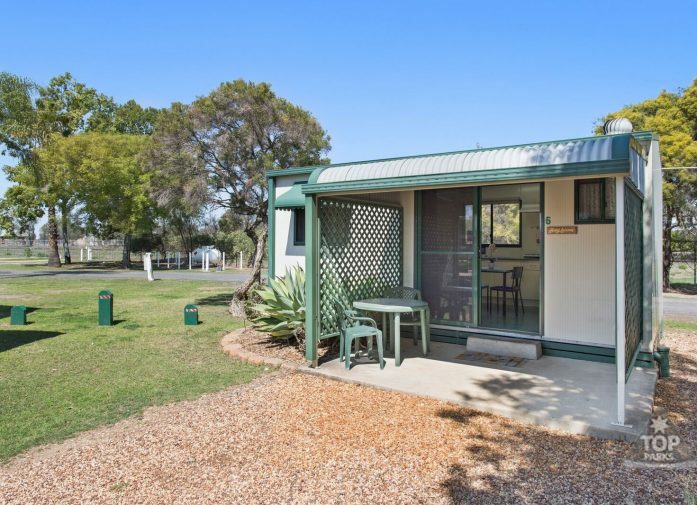 Our smoke-free Standard Ensuite Cabin is the perfect setting for a relaxing stay and offers the best value for your holiday dollar anywhere in Goondiwindi. So why not book your next stay with us here at Goondiwindi Holiday Park. We look forward to welcoming you as our guest.